Today Mommy said she had to do some cleaning since she has friends coming over tomorrow. She doesn't like our dusty footprints all over everything. (Wilbur's footprints are on more things because he can jump on top of stuff, but she still blames us.) So she got out this machine that was really noisy and she pushed it around the house. It sucked up the pieces of the stick I brought in the house the other day, so I wasn't too happy. 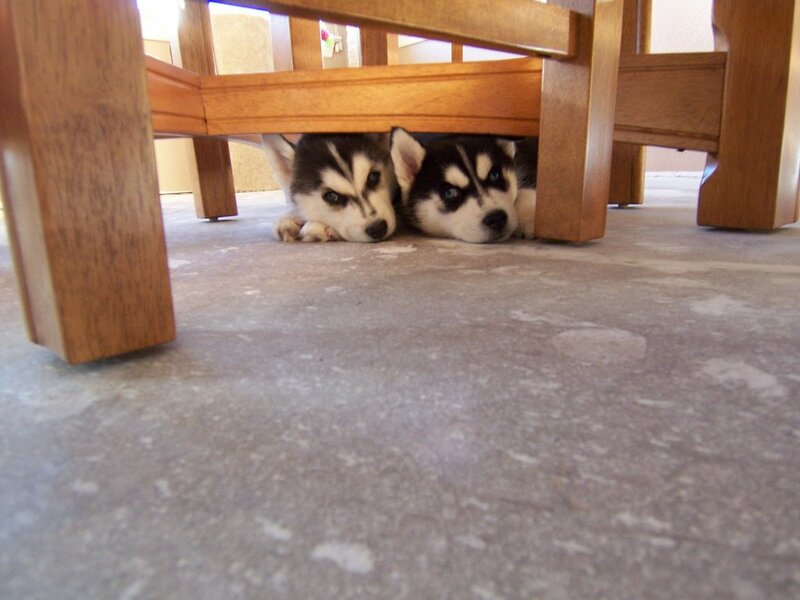 So anyway, the noisy machine scared Steve and me, so we went and hid under the table. While we were hiding, we accidentally fell asleep. We aren't very good at being alert guard dogs. Mommy also turned on this other machine in the kitchen that she puts her dirty food dishes in. It is also very noisy, so Steve and I barked at it for a while. I'm not sure why humans need such noisy things to do their cleaning. When I clean myself, I don't make any noises because my licking is very quiet. Dogs are better than humans at cleaning, I've decided. Nov 29 My first big outing!